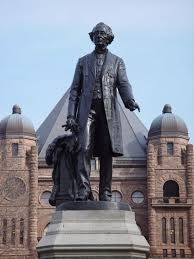 Is Sir John A. Macdonald a hero or a villain? Should his statues be toppled and his name removed from schools? Or should we make his birthday a national holiday – and celebrate it with bare knees and ice at the annual Sir John A's Great Canadian Kilt Skate? The man was pragmatic rather than idealistic. His achievements came about because of his ability to find common ground with his opponents – even seemingly implacable enemies like George Brown. I think Macdonald would begin by acknowledging that, when they disagreed with him, his opponents were not being vexatious, frivolous or ignorant. They had their own deep reasons for taking a different stand. Although I don’t agree with the teachers’ union, I make it a point to try to understand why they believe what they do. Sir John A. did not understand the place that indigenous peoples hold in Canada's history, but that's no excuse for us not to. The confederation of Canada 150 years ago was his towering achievement and Macdonald is rightly regarded as the nation's principal architect. But the stone with which this architecture was built were carved and fixed by previous generations. A separate and distinct entity in the northern half of North America was possible because of a special and unique relationship between those who came from Europe and the indigenous peoples. Indigenous peoples were not always treated fairly by those who came to Canada. But they were not enslaved, as they were by the conquistadors. And apart from a few appalling episodes such as the Beothuks in Newfoundland, they were not exterminated, as they were elsewhere. One of the aspects of our history that sets Canada apart from other nations is that, for the first centuries of European colonization, the two civilizations worked together in comparative harmony. Without that partnership then, Canada would probably not exist today. The early French explorers, settlers, missionaries and fur traders established a symbiotic relationship with the people they encountered. With their indigenous allies and partners, New France created a vast trading empire from the Gulf of St. Lawrence to the mouth of the Mississippi to the Rocky Mountains. The English and Spanish colonies were more populous, but the alliance between the French and the First Nations enabled New France to defend itself. The importance of First Nations as allies continued after Britain eventually defeated the French and seized control of Canada. The Crown signed a Proclamation forbidding settlers from moving into First Nations territories. In effect, they treated indigenous peoples as though they were sovereign peoples under British protection rather than subjects of the British Crown. It's a distinction that continues to resonate. But their continuing loyalty was by no means assured. 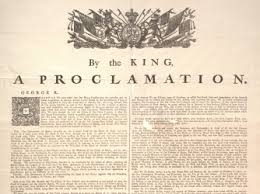 They remained sovereign -- and this distinction was crucial when Canada became the battleground in the war between Britain and the United States that began again in 1812. Unsung heroes like John Norton – a Mohawk war chief whose father was Cherokee and his mother Scottish – were pivotal figures in defending Canada from the American invasions during the War of 1812. This was not only because their decisive interventions in many battles. 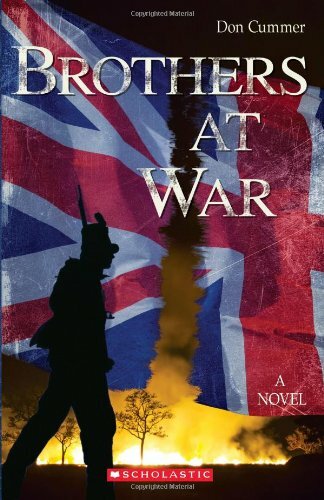 In Norton’s case, it was also a matter of persuading his people to stand by the British in the darkest days of the war, when many voices called for joining with the victorious Americans. John Norton, along with John Brant, now has his statue at the battlefield of Queenston Heights. There ought to be more tributes to First Nations figures. There ought to be schools named after them. But it was not only through their military alliances that indigenous peoples helped shape the Canada that Macdonald would bring together under Confederation. They also created trade networks and commercial relations. The French traders established ties of kinship. The English and Scottish traders of the Northwest Company and the Hudson’s Bay Company continued to intermarry with the indigenous population. By the time of Confederation, a powerful mixed-race culture – today called Metis – inhabited the Canadian West, and its ties to British and French heritage helped insure that, rather than being absorbed by American annexationists, the West became part of Canada. Macdonald was a lawyer and constitutional expert, not an historian. He and Canadians like Charles Mair, who moved west to help claim the land for Canada, remained oblivious to special relationship that war and commerce had created in past generations. 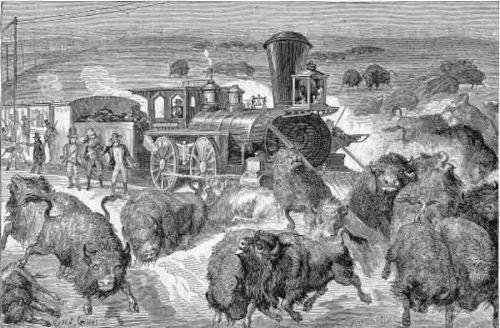 By then, smallpox and the disappearance of the buffalo had reduced First Nations to a fraction of what they had been a few decades earlier. Mair was a poet. He romanticized the original peoples, but he believed – like most Canadians of his time – that their culture was doomed to extinction. When Canadians then, including progressive thinkers like Egerton Ryerson, called for First Nations to be educated in residential schools, it was not out of a desire to wipe out a people; instead, they thought this was the way to ensure their survival as individuals. To call this a “genocide” does not respect the experience to those peoples elsewhere in the world who have been subjected to concerted efforts to wipe out a population – individuals and all. 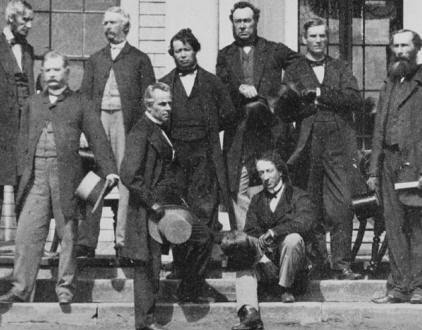 Sir John A. Macdonald had a complex relationship with first peoples. As a lawyer he had represented them as clients. He counted some prominent Ottawa First Nation leaders among his personal friends. He put forward legislation to give indigenous people the vote. But like so many of his day, he considered First Nations culture to be inferior and doomed to extinction with the spread of "civilization." His methods to force First Nations to abandon their traditional ways were sometimes ruthless. He approved withholding food so that starvation would force bands, including Big Bear and his followers, to take up reserves. 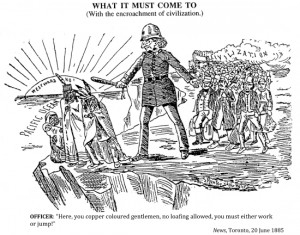 When the indigenous people of the West rose up to defy Canada's authority, Macdonald acted decisively. He sent armies to occupy the West after the Metis resistance in Manitoba, and put down the later rebellion in Saskatchewan. 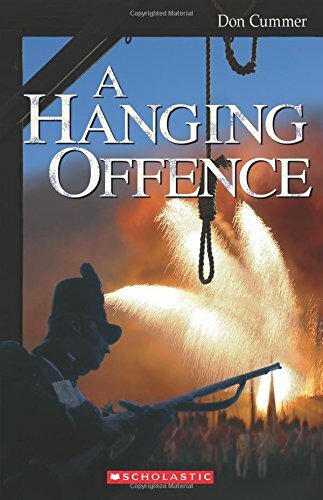 He saw to it that the leader of those uprisings, Louis Riel, hanged. But at the same time, one of his principle contributions to Canada was his protection of the West from the aggressive expansion of the United States. To put down the illicit whiskey trade that had come up from the American West, and establish order and the rule of law on the prairies, he created the North West Mounted Police. There are those who may argue that all of this represents a legacy of colonialism and oppression. But the fact remains: in large part because of Macdonald's policies, the Canadian West had a history far different from that south of the border – especially when it came to relations with First Nations. How different? Following the Battle of the Little Bighorn in 1876, Sitting Bull and the Sioux fled to Canada where they received protection. It is not likely they would have crossed “the medicine line” if they did not believe that the treatment they would receive in Canada would be significantly different from what they would face had they stayed to face the U.S. cavalry. Sitting Bull's return to the USA had its controversies, and Macdonald must shoulder much of the responsibility. But First Nations people in Canada during the Macdonald era faced less likelihood of meeting a violent end than their counterparts in the United States. When war did come to the Canadian West in 1885, most of the First Nations, including the Blackfoot under Crowfoot, did not join in the uprising. In fact, Canada experienced no widespread “Indian war” such as had been the experience south of the border. No massacres such as Washita, Wounded Knee or Marias. From the time of Confederation until Macdonald’s death, there were 14 massacres of First Nations people in the United States. The estimates of the number of women, children and men killed range from 1,047 to 1,167. 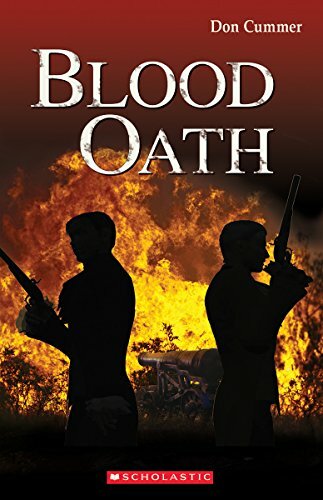 These massacres are in addition to the pitched battles between First Nations and American forces during the Indian Wars between 1850 and 1890 in which an estimated 15,000 indigenous people were killed – comprising 69% of the casualties of the war. Compare this to Canada. A rebellion broke out late in 1884 and it was over by the spring of 1885. The casualties were, on the "Canadian" side: 38 soldiers and NWMP and 11 civilians killed; on the "rebel" side, the dead included 38 Metis and 10-17 Cree killed. Apart from this brief rebellion, the settlement of the Canadian West was characterized by peace, order and...well, you cannot say it was necessarily good government. Good government would have ensured that the rebellion had not broken out in the first place. Macdonald's legacy as Minister of Indian Affairs is a mixed one, and it is good to remind ourselves that our heroes have not always been on what we today consider the right side of moral issues. But our analysis of the great figures of our past should not become a means of endorsing this or that current political agenda. We need to look at the broader picture in its own historical context, and in that respect, few people in history can match to Macdonald’s accomplishments in Canada. This was brought home eloquently earlier this year when Dr. Philippe Azzie of Carleton University spoke at a Canada150 event organized by the Old Ottawa East Community Association. He pointed out how Macdonald excelled in three distinct but related fields: as founder, nation builder, and leader. He was a founder of Canada – a Father of Confederation. In fact, he was the principal architect of our Constitution. But earlier he also founded an alliance that brought Canada West Tories with Canada East Bleus to form a political party that has helped shape Canada ever since. As a leader, he held a Parliamentary Caucus together and led his Party to victory in six federal elections. His leadership style was pragmatic and practical. It was both partisan and patriotic. He used camaraderie and good humour to make allies and placate opponents. And that is the spirit we should bring to the current debate over Macdonald's relationship with indigenous peoples -- and the question of whether his statues toppled and the schools renamed. I say let him enjoy his laurels – he’s deserves them. We'll acknowledge that he had his character flaws and some of his views don't square with the sensibilities of 2017. But let’s continue to celebrate his birthday every year with Sir John A’s Great Canadian Kilt Skate.